Competition for jobs is tougher than ever. Preparing for your first job can’t wait until you’re ready to graduate. Thanks to StraighterLine, now you can discover 6 shortcuts and strategies that can help you stand out from the competition and land your dream job. Brought to you by StraighterLine, a leader in providing self-paced, online college courses for college students. 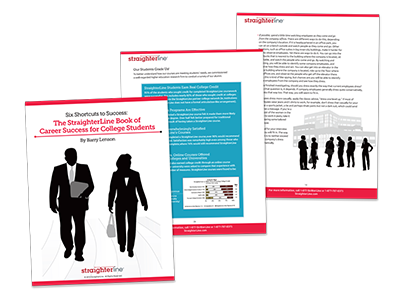 You can now download and enjoy Six Shortcuts to Success: The StraighterLine Book of Career Success for College Students.